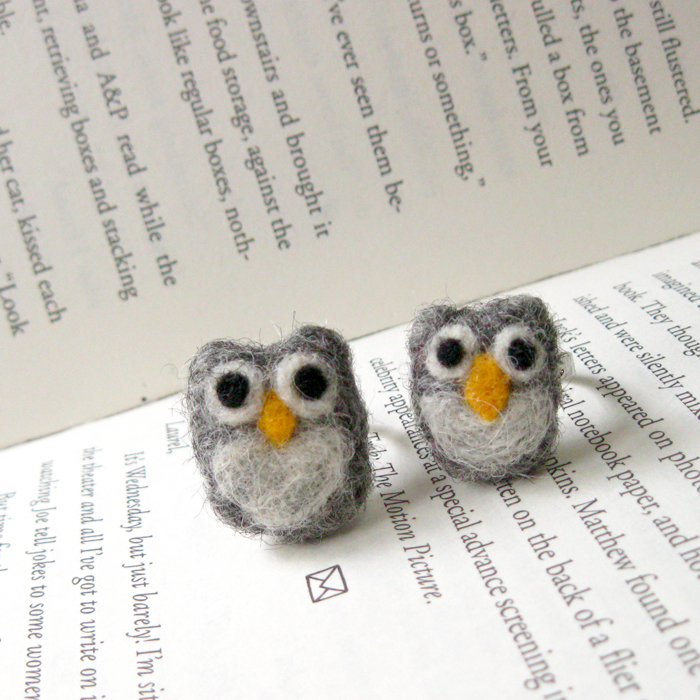 both pandas already sold, olly the owl ring $18 (right) is available. A remake of Lola the bunny ring $22, she’s quite popular around here; photographed with the black blooms earstuds $10. Both available by remake. 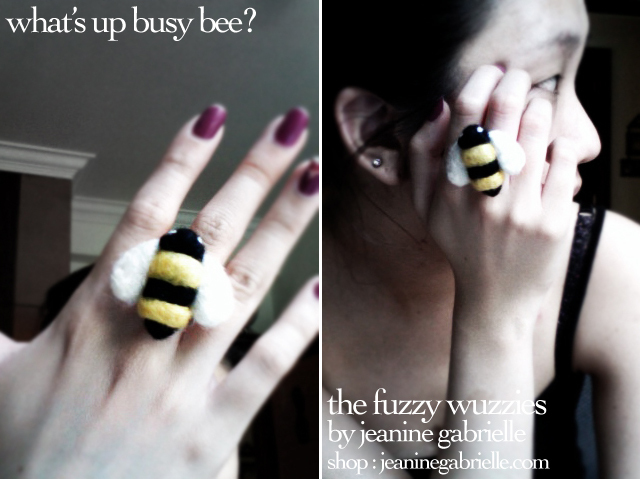 The busy bee ring $22. A plump honey bee which promises not to sting.